But they are an especially important tool to use with young athletes because they work not only on physical strength but also on MENTAL TOUGHNESS. Isometric exercises are any exercise you HOLD under tension. And holding a move when your muscles are shaking and your brain starts to say, “QUIT!”…well there is nothing mentally more challenging. There is no movement to make it better. No place to escape the pain. You can use isometrics as part of a warm up, to get muscles activated and working together. You can also use them as a workout by themselves by doing only holds or by pairing the isometric exercises with strength or power repetitions. Here is a list of a few of my favorite Isometric Exercises. 1. Toes (Single or Double) – This move works on your balance and warms up your feet, ankles, knees, hips and core. It is also a great calf and core strengthener. To do this move, stand on both feet and go up as high on your toes as you can. Hold that position for 30 seconds to 1 minute. To make this move harder, do single leg balancing on your toe. 2. Squat Hold (Wall Sit) – The squat hold can be done as a wall sit or as a free-standing squat and hold. Place your feet between hip-width and shoulder-width apart. Sink down until your thighs are parallel to the ground. To make it easier, do not sink as low. Keep your core engaged and your chest up. Do not lean forward too much. Make sure to sit back on your heels when you squat. You should not be on your toes at all. Do not sink below 90 degrees with this move as that actually makes it easier. And do not let your knees collapse inward. Hold for 30 seconds to 1 minute. If you want to make this move harder, you could hold a weight at chest height or even on your lap while doing a wall sit. Or you can even do a single leg wall sit! 3. Warrior Pose – Many yoga classes use isometric moves. Any time you hold one of the warrior poses, you are performing an isometric exercise. I call this move the “warrior pose” (although I know there are a few different warrior poses in yoga). To do this move, set up in a wide stance for a lunge. Turn your back foot so that the toe is pointing away from you. Your back foot will be perpendicular to your front foot, which will be pointing straight ahead. Do not let your front knee collapse in as you sink down in the lunge. Keeping the back leg straight, sink down as low as you can. Shoot for the front knee to be at 90 degrees. Make sure your front foot is firmly planted on the ground at that your knee stays about over your ankle. If you want to add a bit of shoulder work in, bring your arms up to shoulder height. Reach one forward and one backward toward opposite walls. If you want to make this move easier, don’t sink as low. Hold 30 seconds to 1 minute. 4. Split Squat – Set up in a wide stance with one foot forward and one foot back. Both toes are pointing straight ahead. Sink down until your back knee is almost touching the ground. Make sure you are not leaning forward. Your front knee should be over your ankle. If you want to make this move easier, don’t go as low. Hold for 30 seconds to 1 minute. 5. 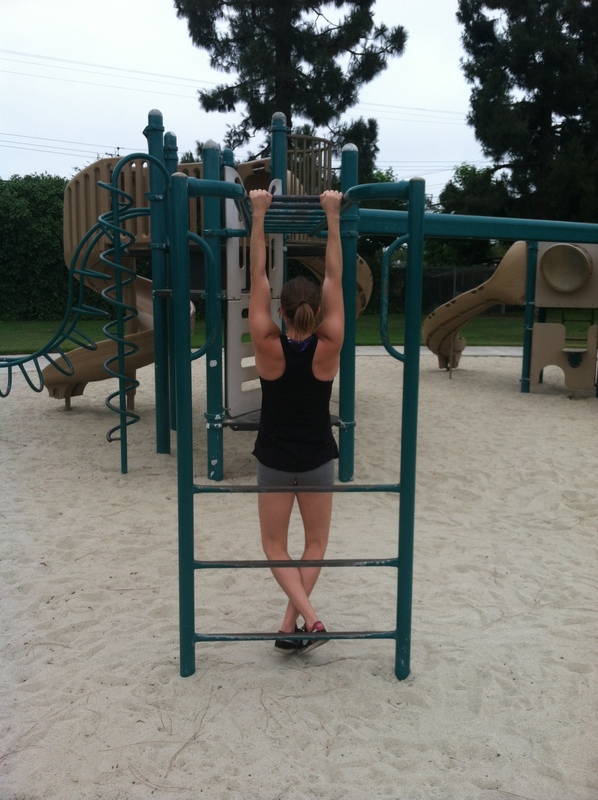 Scapular Wall Hold (Could also be a row up and hold) – THE BEST MOVE FOR POSTURE AND PULL UPS! Bend your elbows to 90 degrees. Lean back into a wall with only your elbows touching. Press your chest out and your shoulder blades down and back. Walk your feet away from the wall only as much as needed to feel the muscles behind your shoulder blades working. Do not let your shoulders shrug up by your ears. The bigger the incline from the wall, the harder the move will be. Make sure to keep your body in a nice straight line. Keep your core tight and squeeze your quads and glutes. 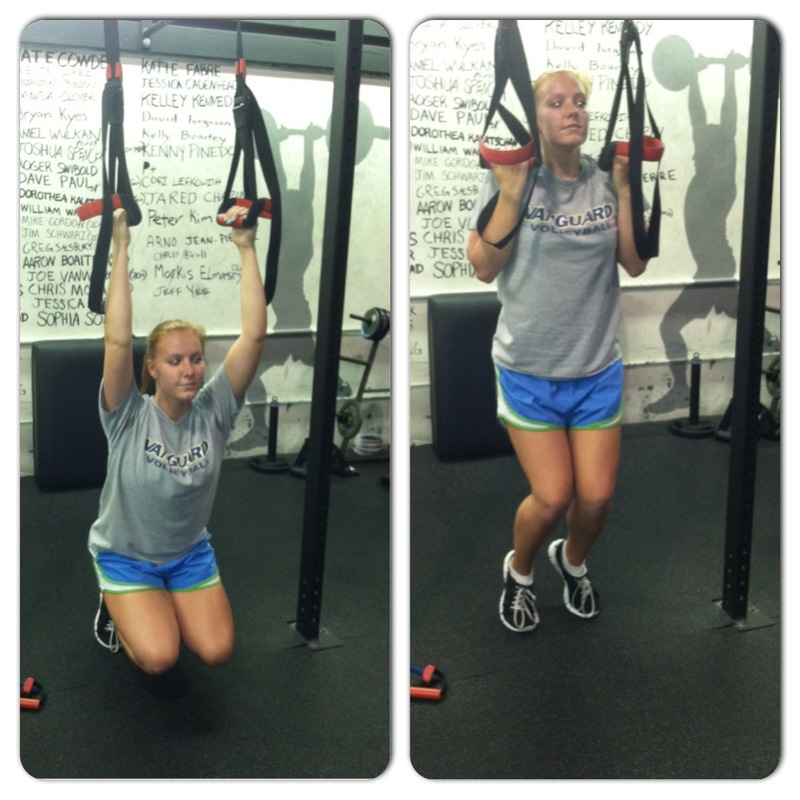 You could also sub out the scapular wall hold for an inverted row to hold. You could row up on either a TRX or barbell and hold at the top of the row. Hold for 30 seconds to 1 minute. 8. Side Planks – You can do these from your hands and toes or knees and forearms. Going down to your knees or forearms will make the move easier. Place your hand underneath your shoulder. Rest on the side of your feet. Stack one foot on top of the other or place one foot in front of the other. Raise up on your hand and the side of your foot. Do not let your hip sag toward the ground. Keep your chest open. Do not let it rotate toward the ground. Hold in a nice straight line, squeezing your core, quads and glutes. Hold 30 seconds to 1 minute each side. 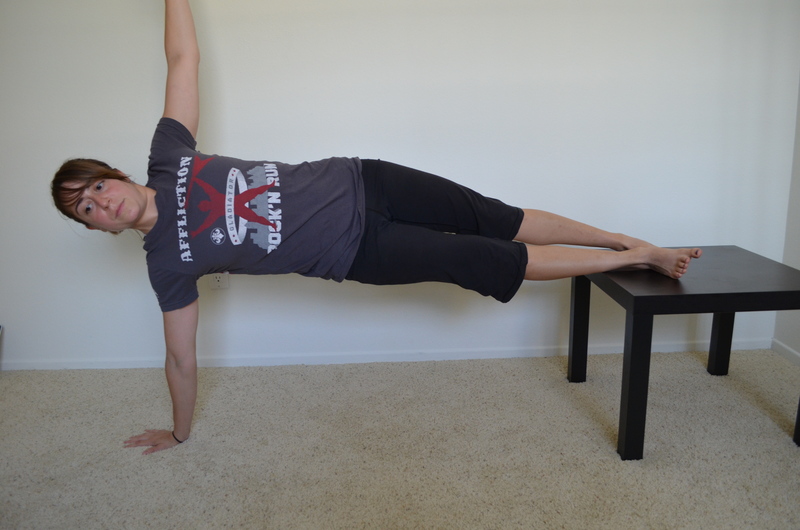 Can make the side plank harder by putting your feet up or raising the top leg. 9. Glute Bridge – Lie on your back. Bend your knees and place your feet flat on the ground. You should be able to graze your heels with your finger tips. Squeeze your glutes and raise your hips off the ground. Keep your core tight and drive up as high as you can. Your weight should be in your heels. Do not go up on your toes. To make this move harder, do a single leg hold. Hold 30 seconds to 1 minute. You can make the bridge harder by holding on a power wheel. 10. Bull Dog – Start on your hands and knees. Knees should be under hips and hands underneath shoulders. Tuck your toes under and raise up onto your toes and hands. Hold with your knees just an inch or so off the ground. Do not let your low back arch. Keep your core tight. You will feel this a lot in your quads too. If you don’t, make sure your knees are under your hips. Hold 30 seconds to 1 minute. To make this easier, raise up a bit higher or walk your feet back a bit. You can also perform a shorter hold. While it is hard to tell, my knees are hovering about an inch off the ground. And in case you aren’t completely sure how to combine the moves above, below are two workouts you can start with! For more isometric moves, check out these Isometric Moves To Alleviate Desk Job Aches and Pains! And if you are a runner, here is a Runner’s Recovery Workout using isometric moves. NOTE: Handstand holds are also a great isometric move that I didn’t include but wanted to make note of because I love them! Get your best body EVER – In TWO SECONDS! I’ve spent the last week working with Jeff, perfecting our next workout progression for the gym. We’ve considered so many different variables to make sure that everyone gets the most out of each workout that my head is spinning. And the crazy part is, both of us still feel like the progression could be better. At some point though, you have to decide it is good enough. So I log into Pinterest for a little mental break before beginning some other work. I don’t know how I feel about Pinterest. It is stupid…But at the same time…I LOVE IT. I generally try to avoid looking at the Health and Fitness section because I know it will just make me angry. Anyway, every other post is about some QUICK FIX! Some stupid challenge that will help you lose weight INSTANTLY! I mean…I get it. We all want there to be some secret out there that will fix all of our problems. We all want an easy way out. But it just simply doesn’t exist. And on top of that, half the things being posted out there advertising a “quick fix” are complete nonsense! A month squat challenge where all you do is squats? Please someone tell me what the point is? It isn’t even a progression to help you add more weight! And then there are the 30 days to 6-pack abs ones…Just do a bazillion crunches and you will look amazing…. I mean I get that they are trying to make easy little workouts to get people at least moving and motivated. Even small changes can lead to big results. And I also get that you aren’t going to “pin” a whole diet and exercise program to get a 6-pack. 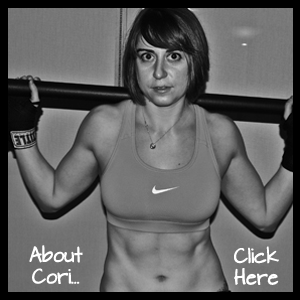 But really…a bazillion different crunches? Not even full-body core moves! Seeing these ridiculous quick workouts just made me angry after spending days on a progression. There are just so many HOLES in them. So many ridiculous workouts that won’t get people any results whatsoever. Which is sad. Because quick workouts CAN get results. And 30 day challenges can be really beneficial! In 30 days, you can see a ton of changes and gain the momentum you need to make a healthy lifestyle change. In 30 days, you CAN really dig in and accomplish your goal! Because I also don’t simply want to rant without doing something about the crap out there, here are my Pinterest Bikini Body Blasts. I wouldn’t normally call them that, but I like the sarcasm I know is behind the title. These workouts are under 15 minutes, shoot you can even set a timer for 10 minutes if you are really short on time. And they WILL actually get you results…be it a bikini body, moving and feeling better or getting stronger. They involve compound movements and work your entire body. The make you move in all the different planes of motion and they work on stability, strength and power. They can be done anywhere or taken to the gym and weighted down to make them even tougher. You can take less rest and make them more “cardio” or you can take more rest and go really heavy with the moves to focus more on strength. They will help you burn fat while strengthening your entire body, which, along with a good diet, is what it takes to have the “bikini body” that people are searching for. P.S. Super Crunch for you Jill!